Transforming a 2 1/2-acre lot in downtown Los Angeles is the focus of the Eco-Ville Development project. The program involves the development of Artist-in-Residence live/work space. 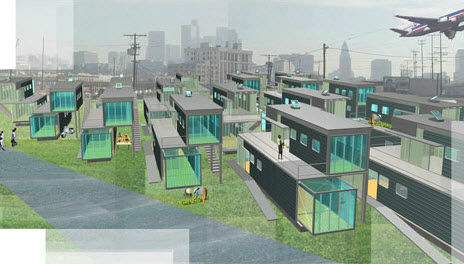 Approximately 40 Portable House units are to be deployed at Main Street in Los Angeles, California. 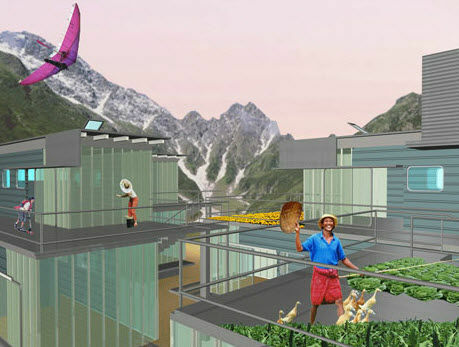 The project is to develop and construct a sustainable Artist-in-Residence live/work community. The final objective is to construct and deploy multiple versions of the Portable House (a mass-customized residential building unit), with an emphasis on native Californian drought resistant plant materials, common gardens, and the use of sustainable building materials. 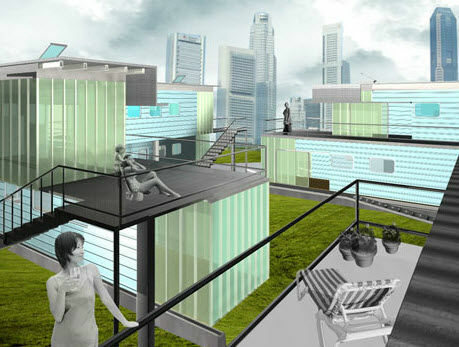 The Eco-Ville Development is comprised of a series of attached and semi-attached buildings in multiple stacked configurations. The bottom unit provides a flexible work space, and the attached upper unit offers an open well-lit living space with access to a private roof garden. 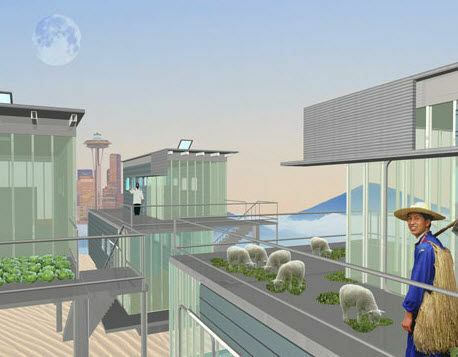 In an effort to provide affordable artists' residences, the development demonstrates that individual modern design solutions are possible with mass-customization.